Leading Manufacturer of metal coil straightening machine, steel coil straightening machine and auto coil straightening machine from Ahmedabad. We are among the prominent manufacturers and exporters of optimum quality Metal Coil Straightening Machine. 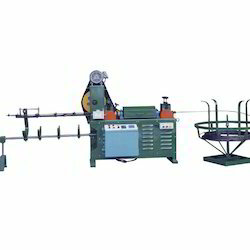 These machines are widely used for various metal straightening applications. In order to ensure a defect-free range, these machines undergo various in-house quality testing procedures conducted by our team of quality controllers. 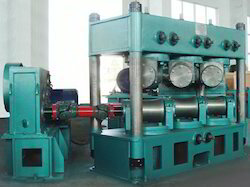 We offer premium quality Steel Coil Straightening Machine to our valuable customers. The offered machines are known for their optimum resistance to corrosion, minimum maintenance, sturdy construction and steady performance. With our vast and well-connected distribution network, we deliver these machines within the stipulated time frame at the customers’ end. We offer optimum grade Auto Coil Straightening Machine to our valuable customers.